Ryan Eggold used to be one of the stars of The Blacklist until he was killed off last season. Hence, that's why he's here. ... and in my mind Tom Keene still alive and just on his next assignment and Red will show up sometime and out him. At first I thought they were bringing back "New Amsterdam" the FOX show. Last edited by JeffTheAlpaca; 09-26-18 at 07:17 PM. 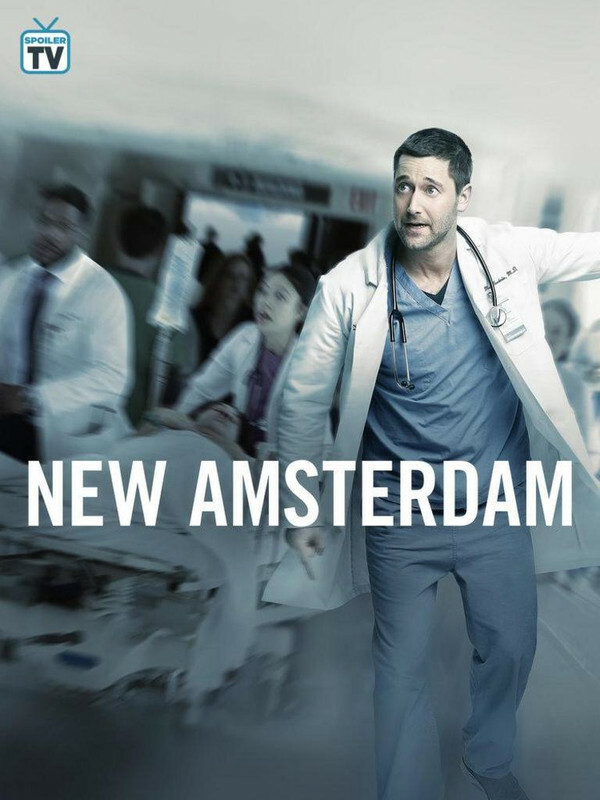 At first I thought they were bring back "New Amsterdam" the FOX show. I did watch this today. It was okay. Apparently this series is loosely based on a true story. But, there's too many doctor/hospital shows on the air currently along with this like The Good Doctor, Chicago Med, Grey's, and The Resident. I already watch Med and The Good Doctor. So I don't blame anyone for not having any interest in investing in this show. However, I did read it was the highest rated show Tuesday night. I guess the big hook of this show is that the lead (Eggold) is apparently dying of cancer. I do like some of the supporting cast like Janet Montgomery and Jocko Sims from The Last Ship. Considering it took me 6 days to get to this, I'm not sure how I'll be able to keep up with this once more shows start premiering this month. Last edited by DJariya; 10-01-18 at 05:38 PM. my wife liked it, which means I'm stuck watching. I thought it was ok, will watch a few more eps.. I liked it a bit hokey and predictable but it runs the through every emotion basically. Girlfriend really liked it so I am with TGM and will continue to be watching. Couldn't get past the promos. Seemed so pompous. I'll wait to see if it has any legs and has good word of mouth. So everyone on the janitorial staff speaks Spanish? Figured this show would be filled with Medical Drama clichés and it hasn't disappointed so far. At least it is pulling them off well (IMO). Best part of the second episode was the surgeon getting schooled on how he has his own "must do" routines/rituals. First new drama to get full season. I’m liking it so far... and I’m getting over calling him Tom Keene. I’m in for the season. We’re still watching, so good to know it’s been picked up. Not sure it needs 22. I kind f wish they’d spen more times focusing on specific cases/characters each episode instead of spreading it amongst the 3 departments. I do like the psych and brain doctor tag team. They work well together. I’m not following. Change the name? It also helps that Ryan Eggold is very good in this role. I am liking this more and more each episode. I have stopped watching the Chicago family of shows, gave up on Gray’s many years back, and am at least 12 eps behind on The Resident, but I am already hooked on this show and watch it shortly after it airs. A genuine pleasant surprise. I like the variety of patients they treat, United Nations diplomats, folks from what I presume is a somewhat nearby prison (Rikers Island), it just feels a bit more fresh than what I have seen on other medical dramas. It also helps that so far I do not quickly recognize the folks being treated on this show, unlike my immediate recognition of well known character actors that oftentimes play the person with the tricky to diagnose/fix malady of the week on shows like Chicago Med, which can take me out of the show. Fun fact, when I googled to confirm the spelling of Rikers Island I learned that New York is planning to shut it down. You learn something new every day.